The above might be the most spectacular project to (n)ever happen. In 1992, The Fremont Street Experience, by the Jerde Partnership, became the project that was built to save downtown Las Vegas, at a time when the boom of casinos along “The Strip” was siphoning business from the city’s core. 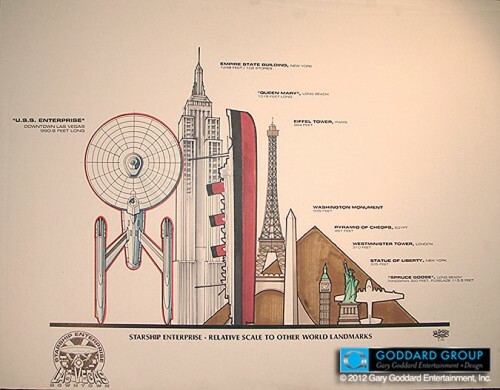 But no one knew—until now—that apparently the real winner of that project’s competition was Gary Goddard and his team, who claim to have proposed to build a full-scale Starship Enterprise in downtown Las Vegas. 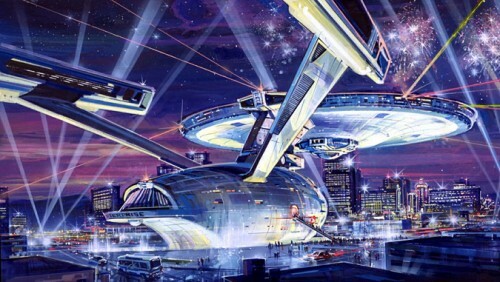 The spectacular mirage-city in the Nevada desert is the only place where a project this amazing could ever (not) happen. 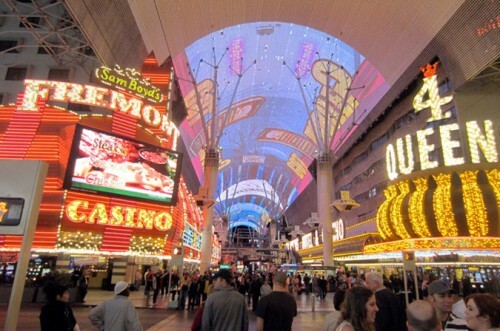 What did get built, The Fremont Street Experience, is no slouch. Billed as “Vintage Las Vegas” due to the rich history of the street, it now includes a pedestrian mall with a street-scale, video-enhanced canopy called the urban theatre, which is the worlds largest electric sign. Also part of the revitalized district are the Neon Museum and Neonopolis, a Vegas-style shopping mall.